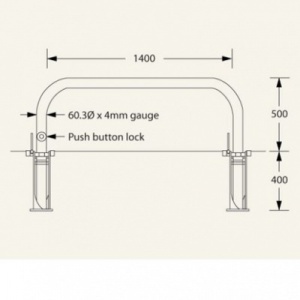 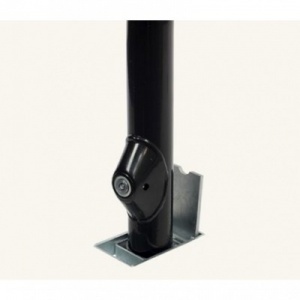 Rhino RDB60 removable steel static hoop barrier with a 500mm height above ground, 1460mm length and 60mm diameter. 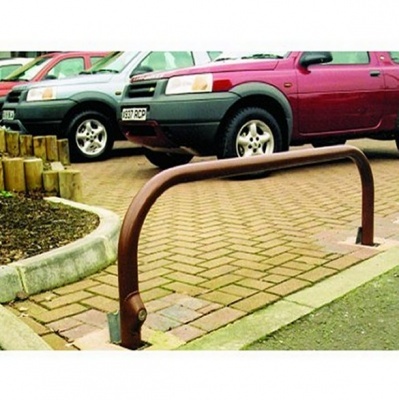 There are situations where the benefits of restricted access can prove to be a handicap – where delivery vehicles have to get to a business, on the forecourt of a car dealership, allowing emergency service vehicles access to a pedestrian location. 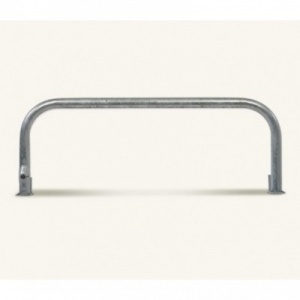 The answer is simple: the Rhino RDB 60 steel removable hoop barrier. While it’s locked in place, its mild steel construction and outstanding Marshalls’ quality make it as permanent as possible, it’s quick and easy to lift clear – just unlock it and push a button. 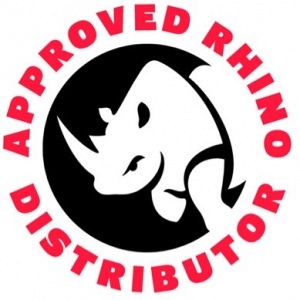 Comprehensively guarantee of 12 months, when it comes to choosing a removable steel barrier, stop at the Rhino RDB 60. 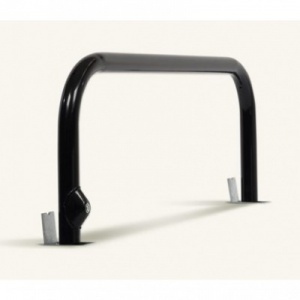 Rhino RDB 60 security hoop barriers are galvanised (non colour) as standard, select colour variant if required.